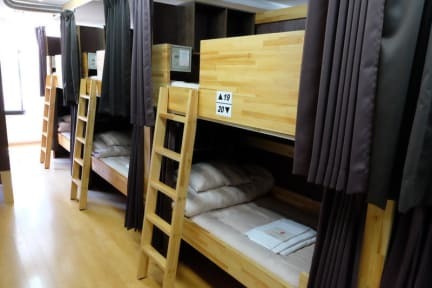 Fukuro-machi Station is a 10-minute walk from the property. An electric kettle is provided in all guest rooms and safety lockers are available for each guest to use. Bathroom facilities are shared. The on-site shared kitchen has a microwave, refrigerator and drinks vending machine. The property offers bicycle rentals.